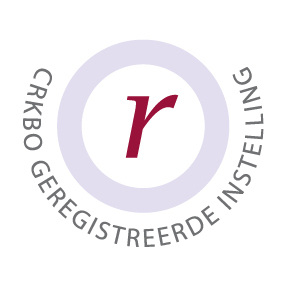 The “Centraal Register Kort Beroepsonderwijs” (CRKBO) serves as the central register for Short Vocational Education in The Netherlands. To be admitted to the register, Mind in Motion, as the administrator of the Amsterdam trainings, had to satisfy quality codes and extensive regulations set forth by the Dutch government for tax legislation as well as those established by the European Union guidelines for quality vocational education. In order to be listed in the register, the training had to successfully pass a mandatory independent audit based on the code of conduct of the Dutch Council for Training & Education (NRTO). Employ qualified experts in the field, who are adequately trained in didactical skills as well as in content. Present the program accurately through all written and verbal marketing, sales processes, and informational materials, which includes brochures and websites. Provide course study materials & manuals that are of an appropriate standard for the program we are offering. Operate in the best interest of the student, meaning that we have full transparency about terms and conditions, conditions for payment, cancellations, registration requirements, course requirements, level of difficulty, etc. Respond to administrative inquiries in a timely and accurate manner, as part of running well organized program. Function with fairness, reply to complaints promptly, and allow trainees to appeal actions and decisions they don’t agree with.